The second and final community outreach workshop for the City of Costa Mesa Consolidated Plan was held tonight at the Costa Mesa Senior Center and about a dozen souls attended the presentation. One early arrival left a few minutes into the meeting for another meeting and four people arrived a few minutes late. We were told by those in charge that it actually doubled the turnout for the first one, but that's the one with almost no notification in advance. In fact, in response to a question, we were told that this is an excellent turnout for a city our size. Now, THAT is depressing! Among the residents who turned out tonight were two former council candidates - Jay Humphrey and Tony Capitelli and Crissy Brooks Nolf, who runs a social service agency in the city that has been a recipient of CDBG funds in the past. Mike Linares led off the discussion with a very brief overview. 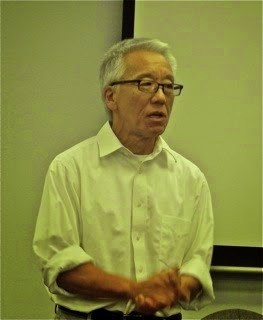 He then handed off the remainder of the very informal meeting to John Oshimo, President of GRC Associates, the consulting organization assisting the city with the preparation of this plan - a critical, esssential requirement to meet the qualifications for Federal Housing and Urban Development (HUD) grant funding. Among the things we learned tonight was that the funding for both Federal Grants Costa Mesa currently receives - the CDBG and HOME - is way down from previous years and is expected to drop another 7% for the 2016/2017 year. 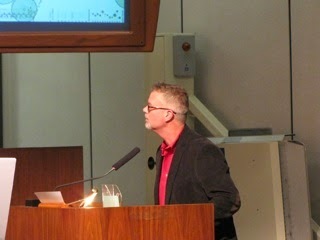 We were told the complete slide show from this presentation will be uploaded to the City web site soon. 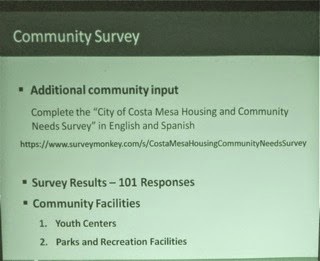 The main point the consultants tried to get across was the need for residents to participate in the online survey, which can be found on the City website HERE. 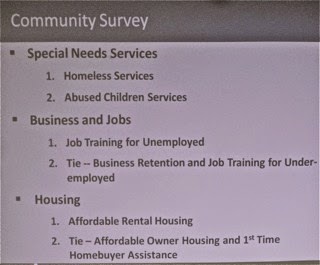 The deadline for participation in the survey was to have been February 17th, but the consultants agreed to keep it open through the end of the month to provide the opportunity for more community participation. As of tonight there had been 101 surveys completed. Here are a few slides showing the results of the concerns of those participating. 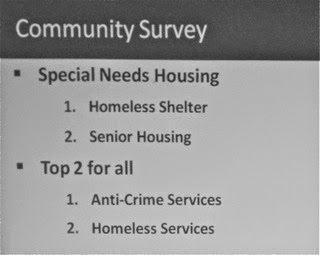 As you can see from that final slide, the areas of greatest concern as compiled from those 101 surveys indicate that Anti-Crime Services and Homeless Services hold the top spots. The consultants will next meet with the Housing & Public Services Ad-Hoc Committee - the remnant of the old 3R committee - to gain their input. That data, plus the survey data, will be combined with boilerplate information provided by HUD for the completion of the Plan. The draft Consolidated Plan should be completed in March and be available for public review for a month. 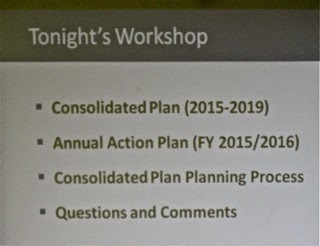 Sometime in April the Plan will be presented to the City Council, who will adopt it and, prior to May 15, 2015, the adopted Consolidated Plan will be submitted to HUD. I encourage you to follow that link above to the survey and complete it. It doesn't take long. Keep in mind, this survey is only for certain qualifying areas within the city, so follow the instructions carefully. Thanks, in advance, for your participation. The other nineteen people who took time out of their busy lives to attend the one of the two workshops also thank you. Tonight in the Daily Pilot, HERE, Bradley Zint presents us with the story that Rookie Mayor Steve Mensinger wants to conduct a "community consensus survey" regarding the future of Fairview Park. The Fairview Park Citizens Advisory Committee has met for the best part of two years on this issue. That committee was stacked with enough cronies to sway the agenda toward increased playing fields if push came to shove. The ratio was further tilted when Frank Davern replaced the deceased David Stiller. 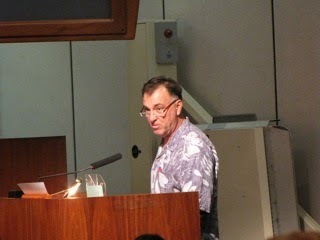 Mensinger is quoted by Zint as saying, "Some people want nothing. Some want trails. Some want sports fields. This is an opportunity for the community to come up with a consensus solution, as opposed to what's happening now: rhetoric and misinformation." What a crock! Mensinger mentions "condos and casinos", but I've heard nobody utter those words at the meetings. That's just a red herring to open up this issue. 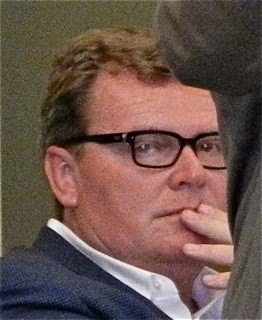 Until he was elected mayor Mensinger was the council liaison to the committee. He sat through most of the meetings. 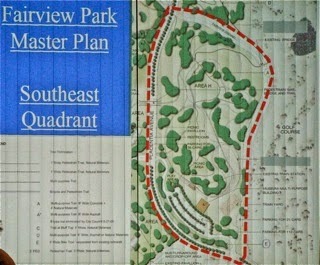 He saw the turnout of residents and others interested in the welfare of Fairview Park. I sat through most of those meetings, too. I heard those voices. I heard the experts talk about the protected species and the sacred Native American grounds within the boundaries of the park. I also heard representatives of youth sports groups who wanted to carve out a few more playing fields in the park. I watched the process by which the committee set about fulfilling what they thought was their charter. I watched as they submitted thirty-five (35) separate issues to be discussed as possible additions/refinements for the park. I watched as they took each quadrant at a time and made careful, reasoned decisions on each of those issues for each quadrant. I watched as the staff prepared lengthy reports for their consideration. I've written about each of those meetings. Having addressed the other three quadrants and having made few changes, the committee is now down to the home stretch - consideration of the future of the Southeast Quadrant - the one most likely to have the playing fields advocates salivating because it represents the biggest chunk of relatively level ground left. 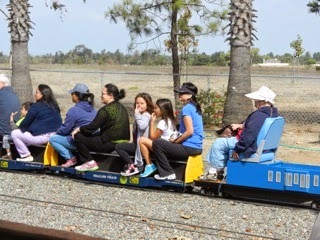 It does include the Orange County Model Engineers (OCME) train infrastructure - which has been an institution in the park for decades and for whom the agreement was just extended for another five (5) years. Addressing that last issue, the trains, Mensinger is quoted by Zint as saying that if sports fields are added, "the trains aren't going anywhere" and could be incorporated alongside the fields. Well, that issue has already been flogged at length and none of the pro-train guys think that's possible without extensive and very costly reconfiguration of the tracks and other infrastructure. Zint properly points out the fragile, protected vernal pools and the Native American sites within the park. 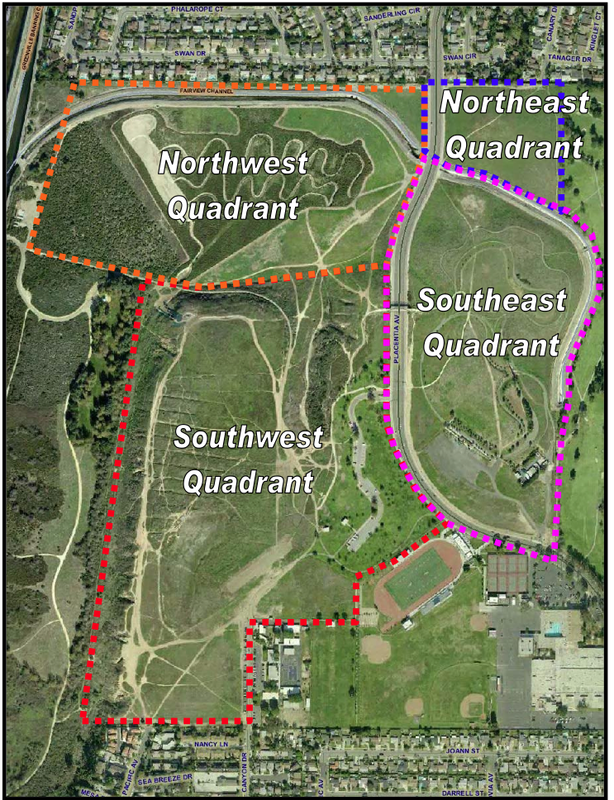 Mensinger has demonstrated by his direction to the city staff to carve out a path cutting directly through protected vernal pools - home to the San Diego Fairy Shrimp - in the Southwest Quadrant, that he really has no concern for the natural elements of the park. That decision/direction has cost the city nearly $20,000 in mitigation efforts and has U.S. Fish and Wildlife carefully assessing our ability to be responsible stewards for the entire park. It is possible that they could impose sanctions on the City and individuals for that act of vandalism and severely restrict our ability to do ANYTHING in the park. That shoe is waiting to drop. 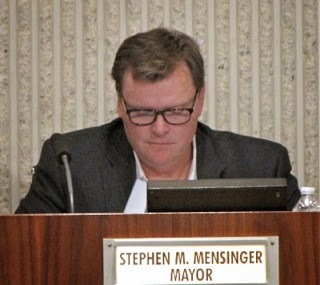 This move by Mensinger is nothing more than that of a spoiled little kid seeing that he is not getting his way, so he's going to chuck the entire process the committee has undergone for nearly two years and try to cobble together a "consensus" to finally get playing fields at the park. He clearly has not listened to the speakers at the many, many committee meetings - he seems to do that a lot. He tunes folks out when they are saying something he doesn't like or bores him. It's as though if it doesn't involve youth sports, then it's not worth his time. The Fairview Park Citizens Advisory Committee is in disarray right now. 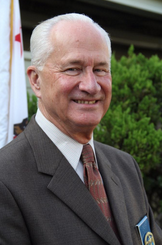 Chairman Dr. Richard Mehren - a man who has chaired not only this committee, but the previous iteration of it for fifteen years and was largely responsible for The City of Costa Mesa acquiring the park originally - resigned in a huff at the end of the January 7th meeting. Member Brett Eckles was appointed to the Parks and Recreation Commission and must give up his voting position on the committee. That leaves Vice Chair Steve Smith, quoted extensively in Zint's article; Anna Vrska; Terry Cummings; Ron Amburgey; Frank Davern; Dennis Popp and Lee Ramos on the committee. 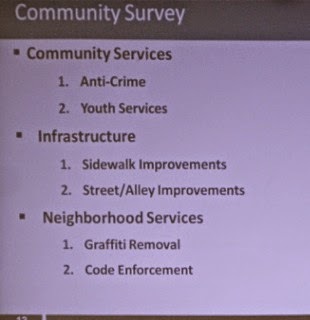 I think it's safe to say that the last four on that list could be considered "pro-fields", although Ramos professed to want to keep the park "natural" on the campaign stump, yet voted to have staff move ahead with plans for fields on the Southeast Quadrant at the January meeting. Actions speak louder than words. The meeting scheduled for this month was cancelled because of botched noticing. It's just as well, because the staff was having a hard time putting together proper reports requested for the committee to consider. They were field use options, which presented special challenges for the staff. The next meeting would be on Wednesday, March 4th, the day following the council meeting at which, Zint tells us, Mensinger will pitch his idea for a "survey" to the City Council. I'm thinking both meetings will be filled with interested parties on both sides of the issue. In my view, this is very much like Mayor Pro Tem (pronounced eMPTy) Jim Righeimer's tenacious disregard for the voice of the people on his twice-defeated Charter scheme. These guys seem to get their minds made up BEFORE public input and just keep charging ahead, even though the will of the people is clear. That old saw, sometimes attributed to Albert Einstein, about the definition of insanity - doing the same thing over and over again and expecting a different result - might seem to be a clever jab right about now. Unfortunately, it's unclear that Einstein ever said that and Psychology Today refutes it. What is probably more accurate is that this is a sign of Perserveration, which they define as the pathological, persistent repetition of a word, gesture, or act. This is not to be confused with Perserverance - the steady persistence in a course of action in spite of difficulties, obstacles, or discouragement. They go on to say, "Some forms of dementia, traumatic brain injury, anxiety and OCD can cause people to perseverate. 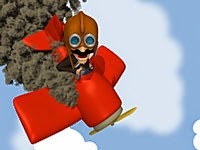 They repeat words and tasks or try repeatedly to solve problems, but are left frustrated and unsatisfied. They're not necessarily insane, but stuck in a non-productive pattern due to a glitch in brain function." Uh, huh... And, near the end of the article I read, HERE, they say, "So how do you tell the difference? Perseveration feels compulsive, hopeless, helpless, automatic and unsatisfying. There is a desire to stop, but stopping doesn't feel like an option. Perserverance feels like striving toward a nobel goal, and whether or not it's reached it there is virtue in the effort. Perserverance is a strong, valuable quality. Perseveration is a troubling issue needing clinical attention." So, this move on the part of our Rookie Mayor is basically a little tantrum, demanding to get his way and changing the "playing field", so to speak, to do so. The discussion of this issue will be illuminating next month. We plan to be at both meetings to report the results. Just a little reminder for you. 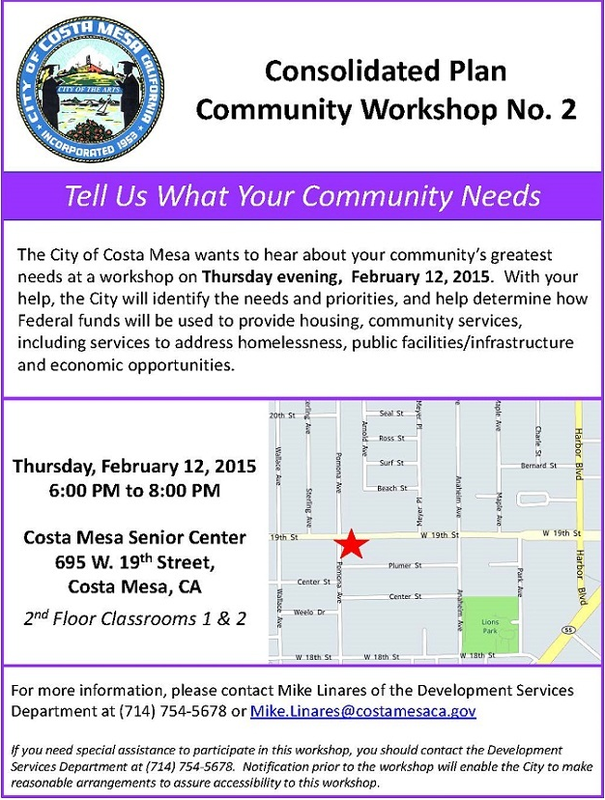 The City of Costa Mesa will host a workshop on the Consolidated Plan tomorrow, Thursday, February 12, 2015 from 6-8 p.m. at the Costa Mesa Senior Center. I've attached their announcement with all the information about the workshop, including a map to the Senior Center. Click on the image to enlarge it. Call Mike Linares at 714-754-5678 for more information. Join me at this event and check out the recently-renovated Senior Center. See how two hundred grand of your tax dollars was spent. See you there. 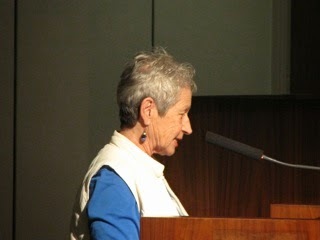 The Budget Study Session held by the Costa Mesa City Council Tuesday evening drew a pretty good crowd for a change. It's a good thing technological complications forced the change of venue from Conference Room 1A to the Council Chambers because there would not have been enough seats to accommodate the more than three dozen residents, staffers and the council members in the conference room. Because of the venue change the meeting was televised and streamed live by CMTV. It will also be available for later viewing, both on CMTV and via the streaming video system at the City web site. If you did not already watch it and are interested I suggest you use the streaming video and just skip around to the segments that you want more information about. Rookie Mayor Steve Mensinger began the meeting promptly at 5:00 p.m. and opened it up to Public Comments. In the Study Session environment speakers only get 2 minutes, and the total time allotted for all speakers is only 15 minutes. As it turned out, that was not a problem. Only three people stood to address the council. 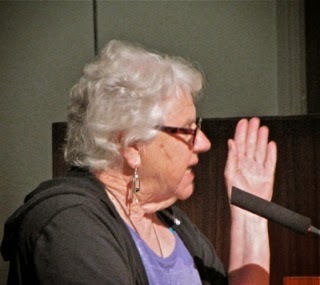 Flo Martin, long time resident, educator and former Daily Pilot columnist reminded the council of the need for intelligent debt management, citing her personal experience with mortgages, car purchase, etc. 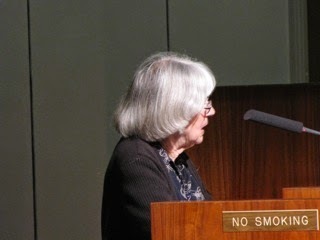 She also reminded the council that Newport Beach has made a dramatic, meaningful move to rein-in their pension debt with a 19 year plan to pay it down and will likely save $23 million in the process. 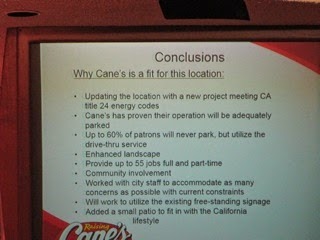 She suggested Costa Mesa seriously consider doing something similar. is interconnected with the Nixle notification program that links directly to police department data bases, and suggested Costa Mesa look into it - and provided council members with literature on the program. She also concurred with Martin about the pension situation, and mentioned that Irvine was implementing a similar plan with even greater expected results. Tamar Goldmann was the final speaker and echoed both Martin and Spadoni regarding the pension situation and suggested that more budget dollars should be put toward police hiring. 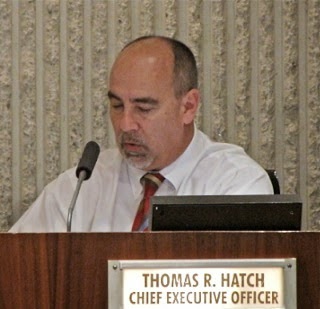 At precisely 5:07 p.m. CEO Tom Hatch then kicked off the agenda - two items dealing with the current budget - and then handed it off to Interim Finance Director Steve Dunivent. A reminder here - the council cannot vote on anything during a study session. They can only give direction to the staff on issues. The discussion on this segment, the back-and-forth between Dunivent, Hatch and the council members, took about 30 minutes. Katrina Foley arrived near the end of this segment. The staff will return at the next council meeting on the 17th with the policies fine-tuned and ready for the council to consider for adoption. As an aside, at this point Mensinger seemed to be having trouble following what was going on - he was ready to adjourn the meeting, but was reminded that the best was yet to come - the Mid-Year Budget Review. Hatch again deferred to Dunivent for this discussion. You can read the staff report for this segment, including the links to the seven (7) attachments, HERE. The initial discussion got a little convoluted, trying to explain fund balance, variances, etc. The upshot was that we are projected to have a little over $9.6 million in the fund balance due to greater revenues than anticipated and fewer expenditures. Of that amount, $3.2 million represent "carryovers and encumbrances" - monies already earmarked. For the remainder of about $6.3 million the staff recommended $2 million placed in reserves; $4 million in Capital Projects and the remainder in unassigned fund balance, where it could be spent later. First priority should be to increase reserves if reserves are below target. Second priority should be to assess the prepayment and accelerated payoff of debt. Third priority should be to allocate additional funds to capital facilities. During the discussion it was pointed out by Foley, who had attended the meeting where this was discussed, that the "debt" discussed above was NOT the unfunded liability debt. 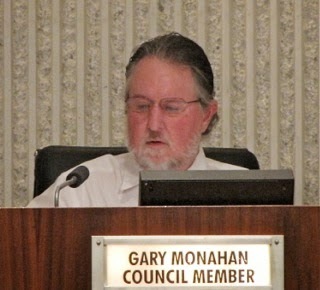 It was also clear from the discussion, particularly by Gary Monahan, that he didn't necessarily agree with those priorities. That particular discussion next week should be very interesting. You might find Attachment 6, HERE, of interest. This is titled "2014-15 Allocation of General Fund Contingency Account as of 01-27-15". This is a list of the money spent out of CEO Hatch's Contingency Fund - the $1 million the current council has been giving him to spend as he (and they) see fit - generally without a subsequent vote of the council. As you scroll down the list you'll find some interesting numbers. Foley, for example, wondered about the $42,000 and $19,000 spent on mailers and mailing to promote the Charter last year. She wondered if the proponents of that failed ballot measure might want to hold a fund raiser to reimburse the city for the costs. I think she was asking that tongue-in-cheek, but I'm not sure. There was also a discussion of the $47,000 for portable field lights and snack bar improvements (for the Jack Hammett Sports Complex Snack Bar) It was an interesting exercise. Finally, just after 6:30 Mensinger got it right and adjourned the meeting to the next council meeting on Tuesday. Watch the video or the televised discussion on CMTV. The replay is not yet on the schedule, but you can check HERE to find it later. You can look for the streaming video on-demand HERE. The Budget Study Session scheduled for Conference Room 1A today at 5 p.m. has been relocated to the City Council Chambers due to technical difficulties in the conference room. This is good news for those of you who want to watch it but can't make it down to City Hall. This meeting will now be televised live on CMTV, Channel 3 on Time Warner Cable and Channel 99 on ATT Uverse. And, of course, you can watch it live on your computer, too. So, pop some popcorn, pop the top on your Diet Coke and sit back and watch the action. Maybe one of us will actually figure out the difference between a "variance" and a "surplus" - or "fund balance"... It makes my head hurt! CEO Tom Hatch announced today that Ron Lowenberg will become the Interim Police Chief for the City of Costa Mesa beginning tomorrow. I won't attempt to paraphrase the announcement, which goes into great lengths extolling Lowenberg's virtues and background, except to say that I know many people in senior law enforcement roles througout Southern California and every single one of them think Lowenberg is an outstanding law enforcement leader. We wish him the very best of luck as he leads the beleagured men and women of the Costa Mesa Police Department as a new permanent replacement for retired Chief Tom Gazsi is sought. Ron Lowenberg, retired Huntington Beach police chief and dean of the police training academy at Golden West College, has been named interim police chief of Costa Mesa. Chief Lowenberg will work closely with Capt. Rob Sharpnack, who has been acting police chief since December, in leading the Costa Mesa Police Department. He will start work on Wednesday. “We’re fortunate to get one of the most respected law enforcement leaders in California to assist us through this transition period,” said City CEO Tom Hatch. “Rob Sharpnack has done an outstanding job as acting police chief, and I know his excellent leadership will continue with the mentorship of Chief Lowenberg." During this transition period Chief Lowenberg will be accessing organizational structure, operations, resources and staffing. Organizational and staff development, including a structured mentoring/succession planning process, will be developed. The recruitment and retention of police officers, civilian personnel, reserves and volunteers will receive top priority. Also critical is relationship building between the police department, City Hall, City Council and community. 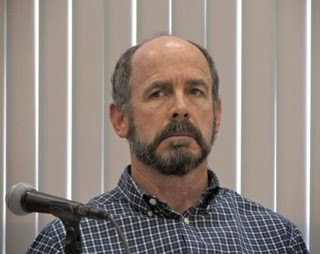 Lowenberg had served in a number of local policing agencies for 36 years, including as police chief for Cypress (1981-1989) and Huntington Beach (1989-2002). He was interim police chief for Pomona from 2002-03. He’s presently the senior member on the California Commission on Peace Officer Standards and Training, having been appointed and reappointed by five consecutive governors. He is the recipient of the prestigious governor’s lifetime achievement award for Excellence in Peace Officer Training, and was past president of the California Police Chief’s Assn. and the Orange County Chiefs of Police and Sheriff’s Assn. 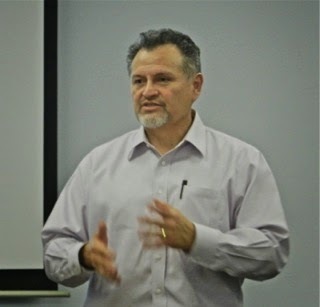 Lowenberg, who served in the United States Marine Corps, has been dean/director of the Criminal Justice Training Center at Golden West College since 2003. Lowenberg will make $100 hourly with no benefits. Monday night the new, Jim Fitzpatrick-less, Costa Mesa Planning Commission managed to make it through the agenda without officers being elected just fine, thank you very much. 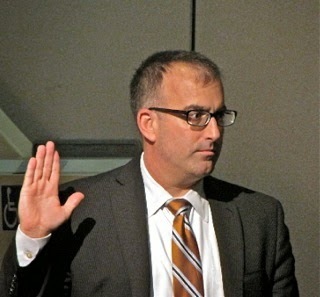 The new group, operating without Vice Chair Rob Dickson, whose wife just delivered a brand new baby girl that afternoon, chose to NOT select new leadership until Dickson is available at the next meeting. 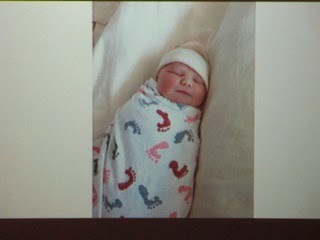 Congrats to the parents and big brother on the new little Dickson. They put off the election of Chairman and Vice Chairman until that time and recently re-appointed commissioner Jeff Mathews conducted the meeting as Acting Chairman. He did just fine. In fact, he probably said more words at this meeting than all his previous meetings combined. New commissioner Stephan Andranian was sworn-in with the returning Mathews. 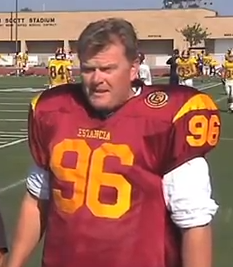 He's a local fella - a Newport Harbor High School graduate, where he played water polo. His parents attended to see him sworn-in. He seems like a nice fella. 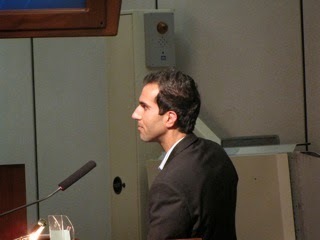 He did his homework for this agenda and made a few tentative comments during the proceedings. His presence adds yet another lawyer to the commission. Bring on those lawyer jokes! The first item on the agenda, the conversion of rental condominiums at the corner of Orange Avenue and Mesa Drive by applicant Temir Sacury was handled swiftly - 20 minutes, flat. One speaker was concerned about them being converted into rehab homes, but there really was no response that could be given to that concern. The item passed on a 4-0 vote. The commission passed it on a 4-0 vote after a 30 minute discussion. The only real bone of contention was a wall along the back property line that actually is completely off the property and is owned in total by the neighboring residential development. 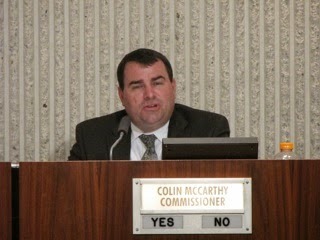 Colin McCarthy was concerned about "something" happening to the wall and the applicant not being responsible. Well, of course, he's NOT responsible. Anyhow, McCarthy instructed the applicant to seek out the owner of the wall after the approval. Strange bit of unnecessary drama on this one. The final item was the creation of a 1,200 square foot convenience store at the 76 gasoline station at the intersection of Newport Boulevard and Fairview Drive. The only real issue here was the possible future request to sell liquor at the store. Again, McCarthy made a big issue of this subject - correctly so, since it seemed apparent that the applicant intended to try to sell liquor at this site in the future. There is language within the conditions of approval that will make it problematic for him to do so. 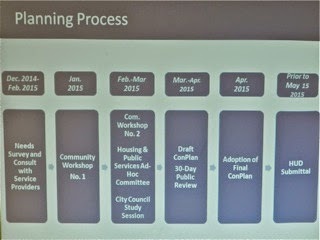 The commission approved the application, 4-0 just after 8 p.m.
After City Engineer Fariba Faseli announced an extensive schedule of paving on the north and west sides of the city which will begin within a couple weeks and be completed by April, the meeting was adjourned until the next one on February 23rd.